So I must admit I’m running a bit behind on this one. I was first introduced to Tapes and Topographies as well as their label Simulacra Records last summer with this release, Signal to Noise. I immediately fell in love with it, but I like to give an album time to sit with me for a bit, especially if the artist is new to me. So, by the time I realized that Signal to Noise was possibly my favorite album of the summer, it was already well into fall. So now summer has returned, and with it Signal to Noise. As the heat crept up, this CD found its way right back into my player on long drives. As Tear Ceremony and Sonogram, Todd Gautreau has been releasing albums since the early ’90s. 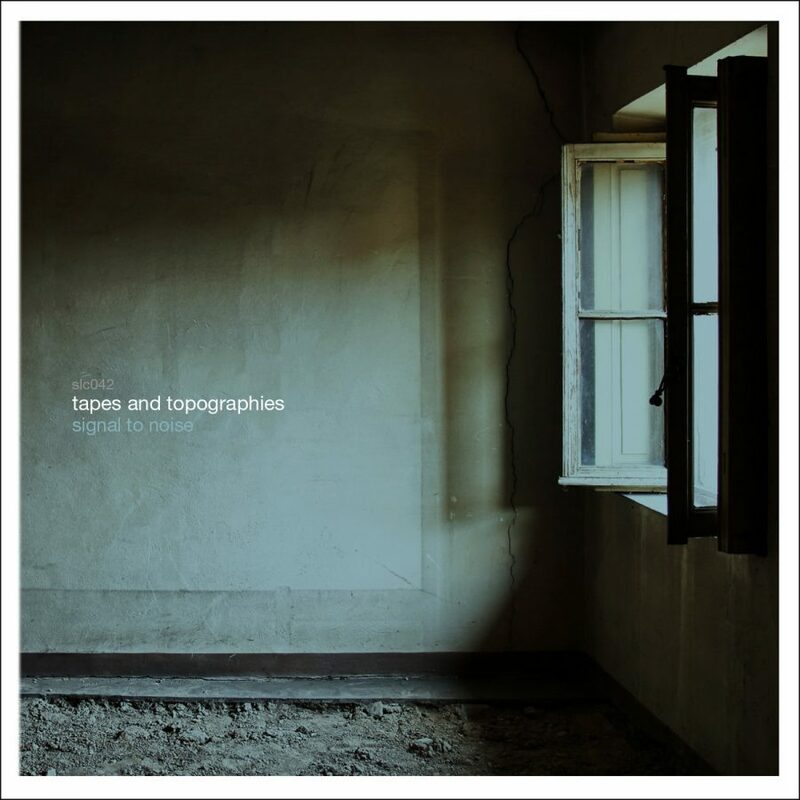 But Tapes and Topographies seems to be a much newer project, with five total releases dating back to 2014. Signal to Noise is the third of these, and just prior to writing this I realized his latest, Opiates, will also definitely need to be heard thoroughly and likely covered here. To say Signal to Noise was my absolute favorite album of summer 2017 might be a stretch. But, it certainly has stuck with me in a more personal way than most of what I encountered through the year. What will become immediately clear to the listener upon diving into Signal to Noise is that it is seeking to evoke a sense of nostalgia. I would argue that it is a heavily melancholic, but nevertheless cherished, nostalgia. The sort of feeling you get walking back into some childhood home, but its now overgrown and rotten, or less intensely, a home that has new occupants with a new color paint and a new mailbox. The memories are still just as beautiful, but the time has passed, the world is a different place now. Each time I revisit Signal to Noise, these feelings present themselves freshly, as if I am experiencing it again for the first time. Songs like the opener, “Answered in an Echo”, are quite direct in their prodding of our subconscious. The track starts off with a high-mid ranged drone that gently sweeps through field recordings of some park on a summer day. Children are playing only feet away. Parents chat amongst one another more quietly. But there are other elements to “Answered in an Echo” which are more experimental and take it into a more interesting place for someone like myself that is not overly interested in drone heavy releases. I would make a comparison, for dark ambient fans, to the way that Elegi has incorporated a wide variety of instrumentation and techniques to create something that is at once nostalgic, peaceful, and experimental. There are different layers of drones, field recordings, and likely other actual instruments, which I haven’t specifically placed. While “Answered in an Echo” is direct in its evocation of nostalgic memories, the whole album does not guide you so directly. Some tracks, like “An Illustrious Career” are sort of a glitchy form of classical. Soft and peaceful piano arrangements mingle with more strange noises. The connection here clearly being that we are able to remember these beautiful bits and pieces from our pasts, but not all that we remember is correct, and not all that happened is remembered. There is a lot of noise that accumulates through the years, muddying the signal, diminishing its purity. But, the scientific definition for signal to noise is: Signal-to-noise ratio is a measure used in science and engineering that compares the level of a desired signal to the level of background noise. A ratio higher than 1:1 (greater than 0 dB) indicates more signal than noise. Another favorite to be mentioned is “In Stockholm, Where I Saw You Last”. This one adds some beautiful string instrumentation to the already delightful piano arrangements. This track actually includes very little of the more experimental sounds, focusing almost fully one the classical instruments. It makes for a nice little interlude in the album. It could evoke the feelings and/or memories of something like a moment of clarity. When for once life actually presented itself to you, no riddles included. I can say equally positive things about the cover-art and digipak for this one. The open window, sun shining in upon a dirt floor is the perfect visual representation of this album’s emotion. A feeling of loneliness, a bit old and worn. But, the album doesn’t present itself as all sadness and despair. The memories are not quite yet gone, the moments live on in our minds, and maybe one day moments so beautiful will present themselves once again. Or is life only ever so beautiful in hindsight?